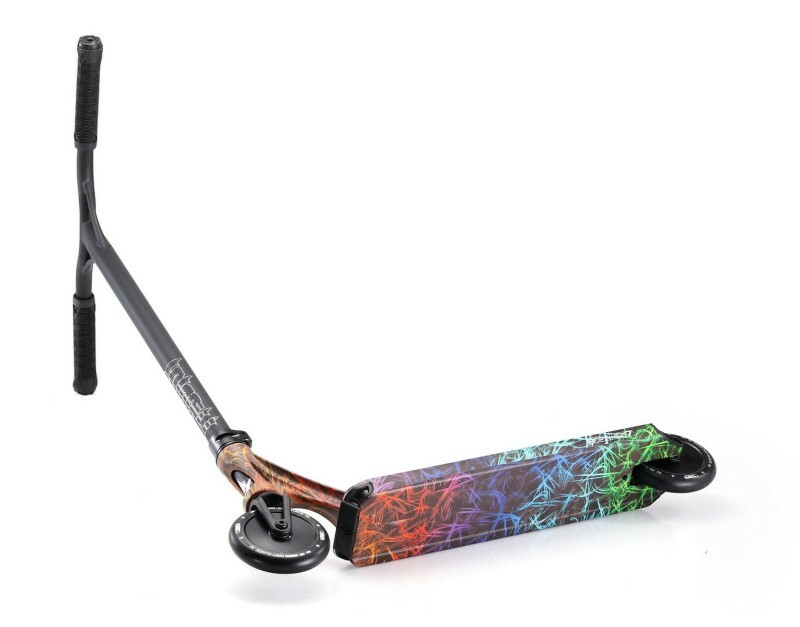 The Envy Prodigy has been one of the best selling scooters for years, and now the 2019 model is here with all new colours and a completely newly designed deck that has a forged one piece head tube for superior strength. The new Prodigy S7 also sports the latest hollow core 120mm wheels technology to make the new Prodigy even lighter. The fork on the S7 Prodigy has also been tweaked and is now compatible with wheels up to a super fat 30mm wide and 125mm in diameter so you can upgrade to any wheel you like in the future. 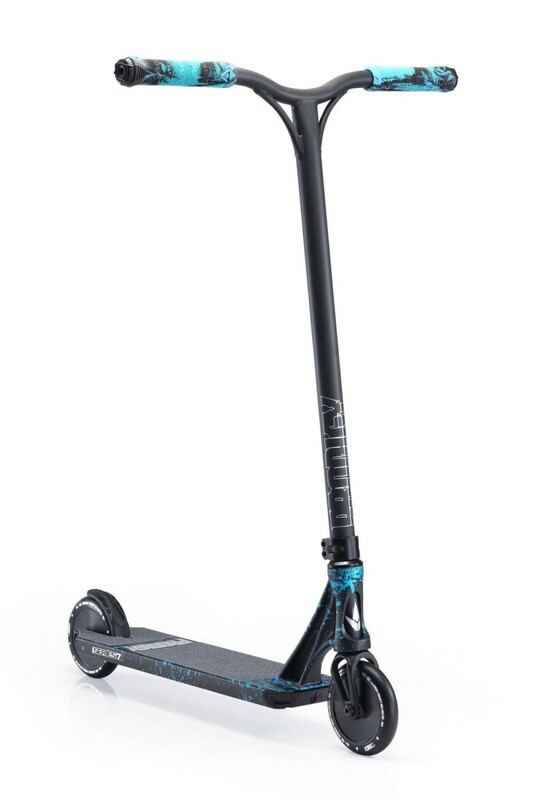 The 2019 Envy Prodigy S7 Complete Scooter will handle any rider from the beginner just starting out, and all the way to the seasoned pro rider. 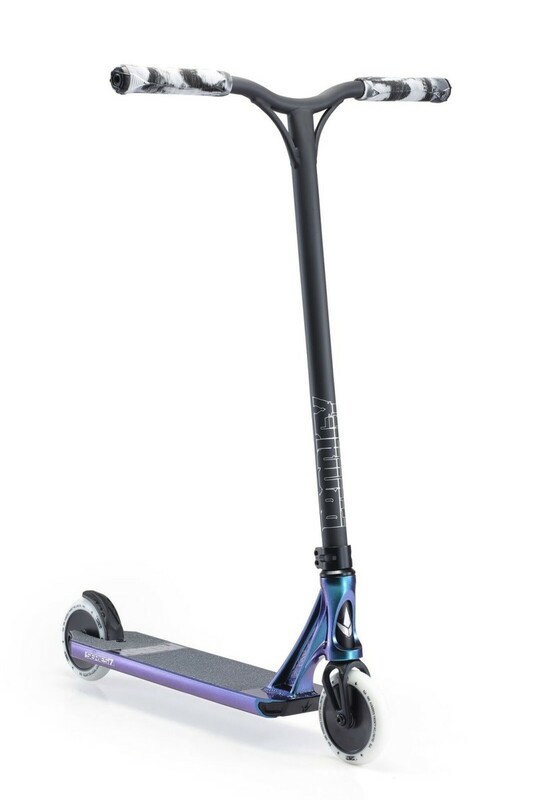 Comes with free ECS sticker Sheet and free Envy Scooter Stand. 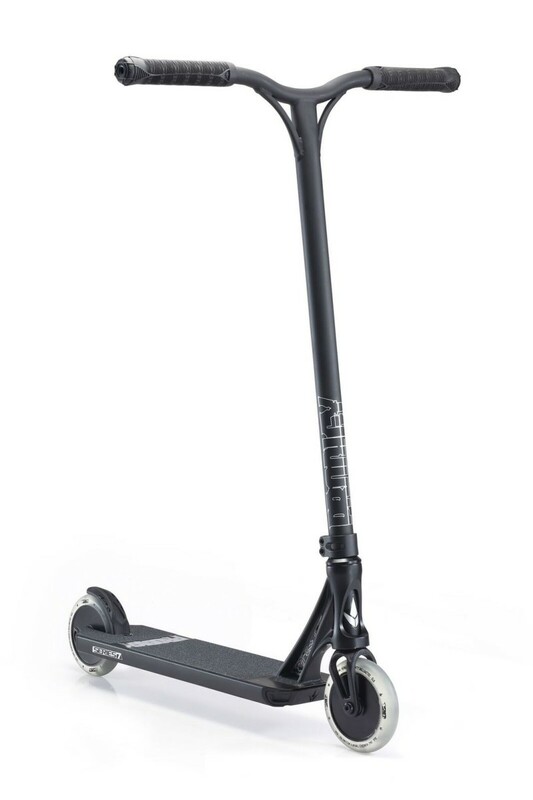 The total scooter height from the ground to the top of the bar is 88cm. 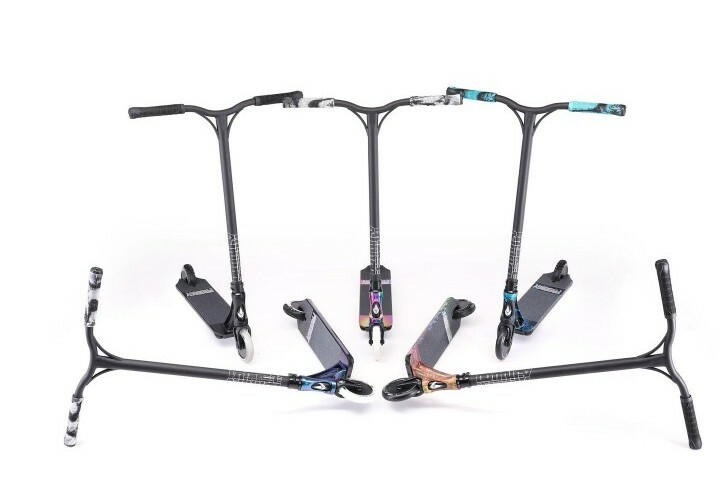 -The Prodigy Series 7 this year comes in 5 new colours. Splatter, Black, Oil Slick, Scratch and Midnight. Perfect for all colour tastes. 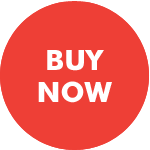 -NEW FORGED One Piece Head Tube that gives incredible strength. 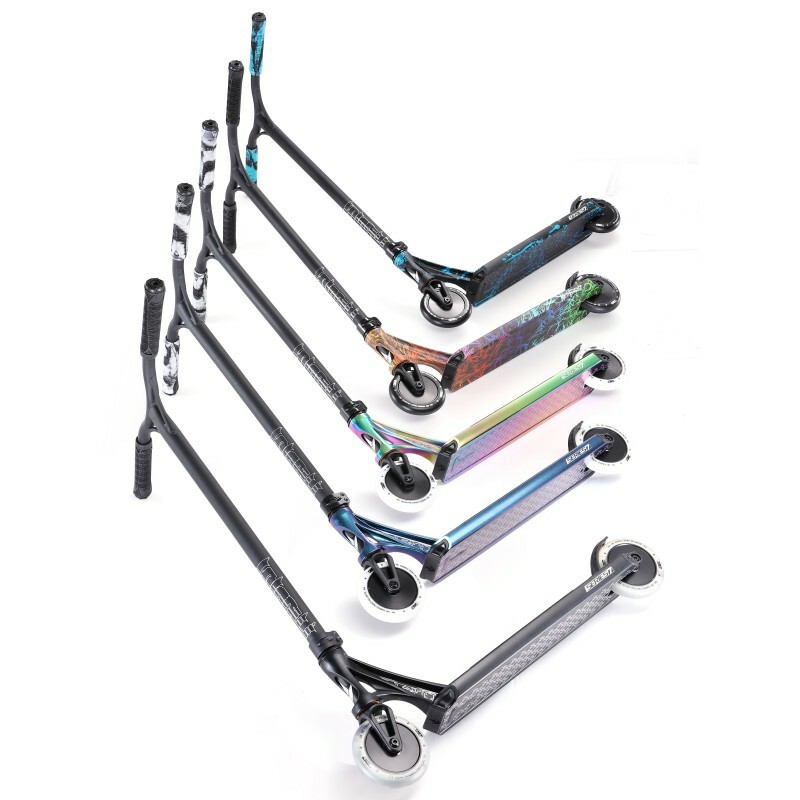 -6 Series Alu Forged Prodigy IHC fork- Compatible up to 125 x 30mm fat wheels.